My husband the realtor often runs into issues when trying to sell a property. Of course, because he is such a fabulous realtor, he usually finds a solution. Recently, he was helping a good client of his buy a bay house. All was going well, until they realized that the house was in the worst flood zone possible, and the flood insurance quote was through the roof. I mean, it was bad. Now, mind you, this house is 15 feet off the ground. Why, you ask, would a house that is built that high off the ground need expensive flood insurance? The best answer I can give you is government bureaucracy. But that’s a discussion for some other time. Anyway, while he’s trying to come up with a solution for his client, I will discuss the significance of flood zones in real estate. When purchasing property near the water, it is extremely important to have an elevation certificate. This determines the flood zone of that property. The flood zone determines how high the flood insurance premium will be. Typically the seller will have this certificate, if there is a mortgage on the property. If the seller does not have a certificate, you can have a surveyor complete an elevation determination for a small fee. When your realtor writes a contract on the property, it needs to include a insurance contingency. 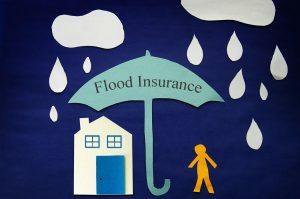 This allows you to determine the cost of the flood insurance. The flood zone where the property lies can be the difference of hundreds of thousands of dollars over the life of the loan. It can also affect the market value, if you choose to sell the property in the future. Also, even though the property may lie in several different flood zones, the only flood zone that matters is where the structure itself lies. In closing, please remember that Alabama is a buyer beware state. It is very important that you have a knowledgeable and experienced realtor on your side. The Henry Group has nearly 100 years of combined experience, and any one of the fine realtors there would love to help you!